M&M's® Whole Topping - 5 lb. M&M's® is a recognizable brand for your business, so use this M&M's® whole topping to create specialty desserts that will keep your customers coming back for more! These whole, round candy pieces feature a chocolate center with a candy-coated shell. The candy coating has an assortment of rainbow colors to brighten up any regular scoop of ice cream. Sprinkle a spoonful atop your desserts, and guests will love the colorful and crunchy pieces. 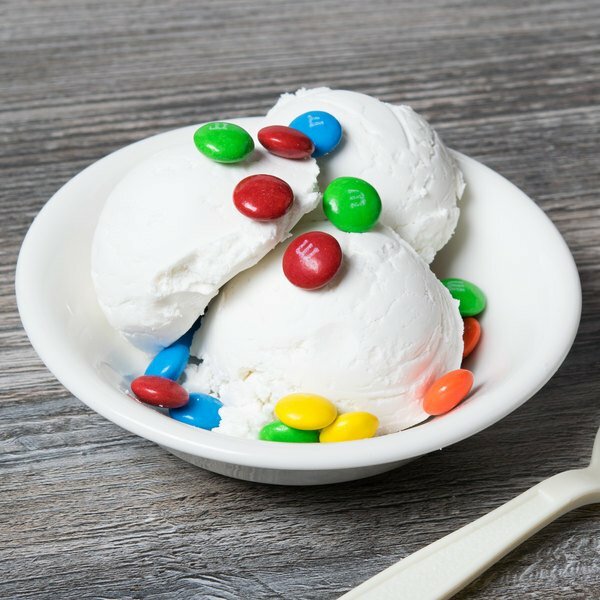 Whether you're creating decadent ice cream sundaes or other sweet treats, you'll find plenty of uses for this bulk supply of M&M's® whole topping. Blend it into your cookie batter, or use it as a sweet garnish for frosted cupcakes. Include it in your self serve ice cream or frozen yogurt bar, and your customers will love choosing their favorite toppings. 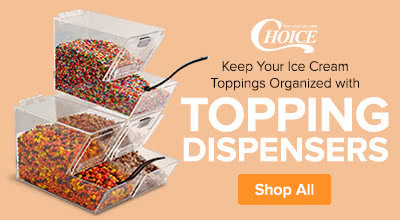 Stock your business with the best-tasting toppings, including this M&M's® whole topping. Overall User Rating: M&M's® Whole Topping - 5 lb. We purchased these whole toppings made by M&M's and they are a really great buy. Received my package in great condition and these sell well in our store. I purchased these to use for making cookies. They are the perfect size to use when mixing cookie dough and melt easily and look aesthetically pleasing! I wish I could say that I bought these exclusively for bakinf but I didn't. I used these to bake cookies and I was afraid that the color would run, however it didn't!!! This size of M&M's is perfect when you don't need a ton of M&M's but you do need more than what you can find at the local store. I highly recommend this product. If name brand is important to you when it comes to frozen yogurt toppings then get these. They are really good and I saved a lot of money by buying them in bulk. This is a great deal on M&M's. They are a lot cheaper to buy on this website. I bought our shop a bigger size that they offered and am extremely happy. A nice five pound box of M&M's that were a great centerpiece at my kids candy birthday party. The colors are bright and the candy tasted great. 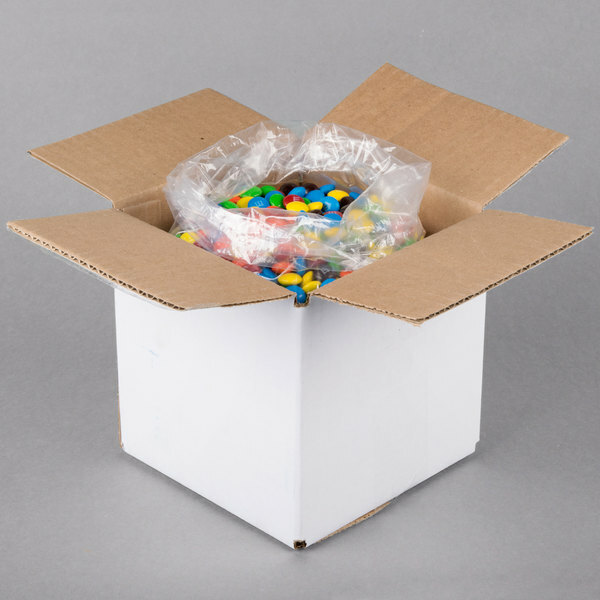 A great 25 pound bulk box of M&M's whole candy topping that is excellent for making our shortbread cookies. The candy taste fresh and arrives perfectly packaged. M&ms are kind of plain on their own. But they're a classic candy. So they're a good item to offer for ice cream or frozen yogurt toppings. These m&ms are great in ice cream. The only thing is that the chocolate gets really hard and can sometimes hurt your teeth. But if you let it warm up a bit it's good. M&M's Whole Topping is a perfect topping for all ages! They taste amazing and they go good with any flavor of yogurt! Our customers love them! I absolutely love this product! These m&ms came in great condition none were broken! They taste very fresh! Great for toppings can't wait to use them in our recipes! 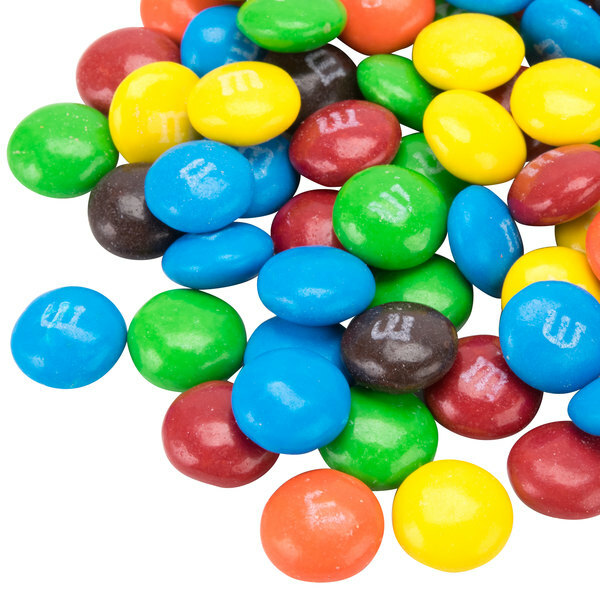 You can never go wrong with m&ms. This is such a great price for the amount of M&Ms you are getting, especially because they are authentic.